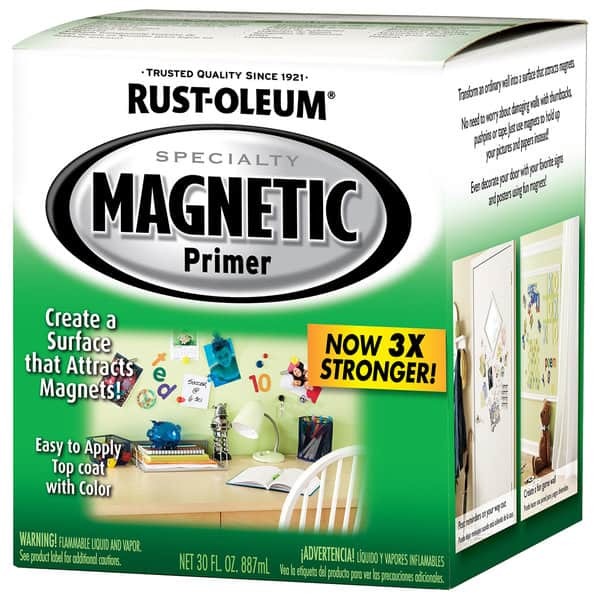 Magnetic primer comes in many different brands and types however it is not magnetic. 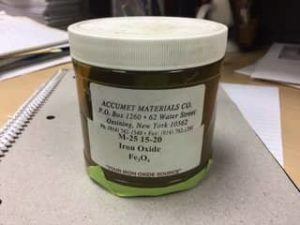 It is actually a mixture containing iron suspended in a resin. The first varieties available were all Aklyd or oil base because iron rusts in the presence of water. The Latex or water base varieties available now have encapsulated the iron particles so there is a barrier between the iron and water. We experimented prior to any “magnetic” primer hitting the market and managed to make something that would work. We located and bought fine iron particles and then mixed them in an alkyd primer. The trick for us was to apply several coats. The more coats the more iron that is suspended on the wall and the stronger the hold of the magnet! This same idea works with the various “magnetic” paints on the market today. More coats = stronger hold. The trick to using these products is twofold. First make sure you keep the product stirred to keep the iron particles in suspension and as already mentioned, you want to do several coats. 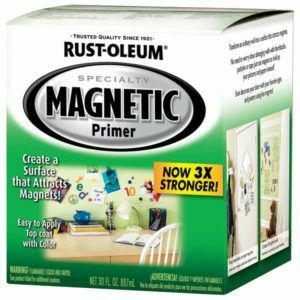 The product that we experimented with years ago actually works better then any magnetic primer available today. I think that is because we added lots of iron. Iron isn’t cheap in this form so what we made was not cost effective but it sure worked!